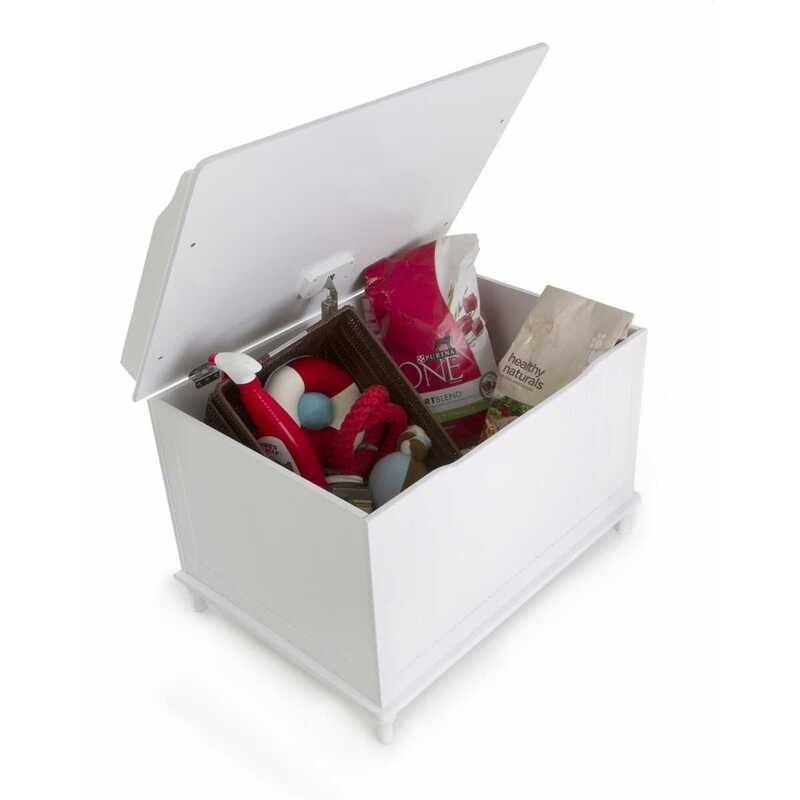 An elegant storage chest that will keep your pet products - or anything else - out of sight and organized! The Pet Storage Chest is both functional and a beautiful addition to your home. A hydraulic allows the lid to stay open for easy access to the storage chest. The Pet Storage Chest is easily assembled and comes with detailed instructions. For setup, you will need a Phillip's head screwdriver. The Pet Storage Chest comes in two beautiful finishes - Black and White - and matches the other products in the line: The Catbox Litter Box , the Modern Cat Tree, and the Wall Mounted Cat Tree. 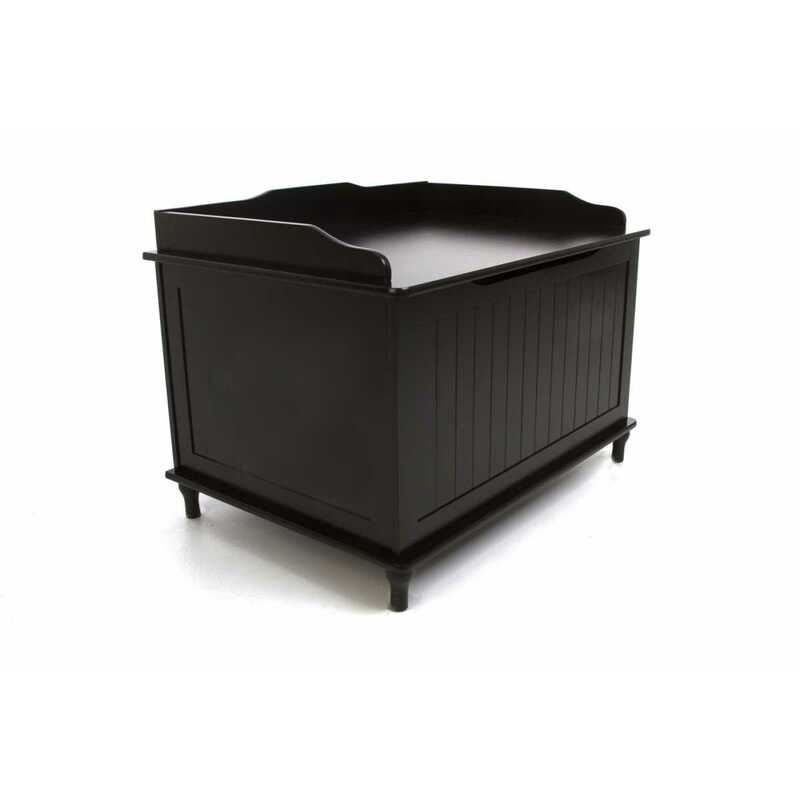 Keeps pet supplies or other household items out of sight in an elegant piece of furniture. Hydraulic safety hinge holds lid up for easy access to inside. Stylish design that will look great in any room. 29.1" (L) x 20.6" (W) x 20.8" (H). Size of the Pet Storage Chest: 29.1" length by 20.6" width by 20.8" height.